The 5th Infantry Division Cosseria was an Infantry Division of the Italian Army during the Second World War. It was mobilized in January, 1935 in Imperia city. It was made up almost totally of Ligurians and Montferratians. The 5th Division "Cosseria" participated in the Second Italo-Abyssinian War, with parts of it forming 105th Division Cosseria II. In August–September Cosseria was moving to Benghazi, where it stayed until December, 1935. Casseria was transferred to Adi Quala in Eritrea in the beginning of January, 1936. It was mostly tasked with population control and supply lines protection behind the front-line. 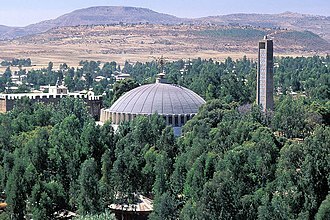 In March, it started to advance to Addi Onfito, reaching Axum in April, 1936 and spreading in Adwa area. It has returned to Italy in September, 1936, and was reorganized as a binary division 25 March 1939. 10 June 1940, it was deployed on the French border, in the strip from Cima Longoira to the sea. 20 June 1940, the Cosseria division has started assault on French positions at bridges of Via Aurelia (Corso Francia) and Ponte San Luigi over Ro San Luigi river near coast, and mountain pass San Paolo near I Colletti, in Ventimiglia commune. Although the thrust through the bridges over Ro San Luigi river was initially repulsed, Cosseria has succeeded in taking over pass San Paolo 22 June 1940. 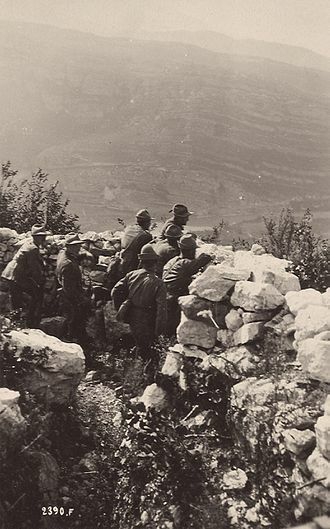 As result, the French forces defending bridges over Ro San Luigi and Menton area were outflanked, with Italians capturing rural areas between Castellar and Roquebrune. Cosseria has remained in the occupied territory until middle of August, 1940, than it was transferred to coastal defence duties in Western Liguria. The division was one of the twelve divisions that served on the Eastern Front as part of the Italian Army in Russia. 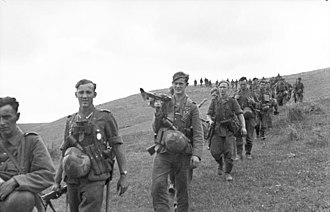 The Cosseria division has received orders to move from Liguria to Russia in June, 1942, accordingly arriving to Horlivka in the beginning of July, 1942. It was used initially as the reserve of 35th Army Corps. Following attacking forces, Cosseria has arrived to Donetsk 15 July 1942, and in Luhansk 25 July 1942. It crossed Seversky Donets River at Stanytsia Luhanska. In the first half of August, the Cosseria fas transferred to the front-line at the Don river, on the north of 3rd Mountain Infantry Division Ravenna, taking positions between Novaya Kalitva and Verhny Mamon. From 20 August until 26 August 1942, the Cosseria has repelled a Soviet assault without giving up any ground. Further Soviet attack at Krasno-Orehovo and Derezovka 11 September 1942, succeeded in pushing back the Cosseria troops, but all losses were recovered by Italian counter-attack 12 September 1942. Soon after, the division was moved back to the reserve. The Cosseria division was in complete rout by 24 December 1942. 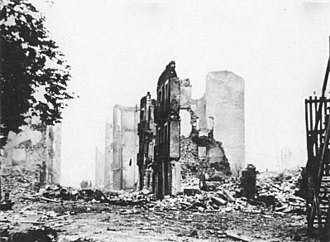 The division was relieved of front-line duty by German units. 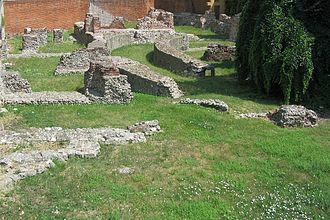 The remains were partly used to reinforce the Ravenna division, and partly used to protect supply lines around Rovenky. But rapidly deteriorating situation has forced the Cosseria remnants to retreat to the south-west, first maintaining front-line, and then in several columns. The street fighting has begun in Rovenky 2 January 1943. During the Voronezh Front operations in the Upper Don area under Golikov, Soviet cavalry struck out very successfully for Valuiki and under the pale winter sun on 19 January the horsemen in black capes and flying hoods charged down the hapless Italians, killing and wounding more than a thousand before the brief resistance by the fleeing, hungry and frostbitten men of the 5th Italian Infantry Division ended. The soldiers of Cosseria then reached Izium, where they linked with other Axis forces. The further retreat route was through Kharkiv, Okhtyrka, Romny, Pryluky, Nizhyn, finally reaching Novobelitsa at the southern outskirts of Gomel at 7 March 1943. The division was removed from duty and moved to the Tuscany province of Italy during late April - early May, 1943, where it started to re-form. 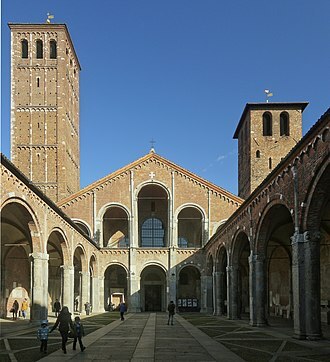 The brief tour to Milan was done at 25 July 1943, and after Cosseria was assigned for the police duties at Sesto San Giovanni. The division has ceased to exist 12 September 1943, with troops mostly surrendered to German in the aftermath of the Armistice of Cassibile. Each Army Division in the Ethiopian Campaign had a Pack-Mules unit of 3000 mules and three Regimental Trucks units (20 light trucks each). 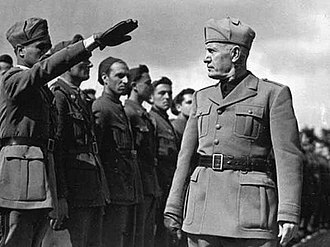 ^ An Italian Infantry Division normally consisted of two Infantry Regiments (three Battalions each), an Artillery Regiment, a Mortar Battalion (two companies), an Anti Tank Company, a Blackshirt Legion (Regiment of two Battalions). Each Division had only about 7,000 men, The Infantry and Artillery Regiments contained 1,650 men, the Blackshirt Legion 1,200, each company 150 men. ^ Erickson, John (1999) . The Road to Berlin: Stalin’s War with Germany: Volume Two (2 ed.). New Haven: Yale University Press. p. 33. ISBN 0-300-07813-7. Regio Esercito: 5a Divisione di fanteria "Cosseria"
133rd Armoured Division Littorio or 133° Divisione Corazzata Littorio was an armoured division of the Italian Army during World War II. The division was formed in 1939 from the Infantry Division Littorio that had part in the Spanish Civil War. It was a unit during the invasion of France when it attacked through the Little St Bernard Pass. It took part in the Invasion of Yugoslavia, fighting at Mostar and it was sent to North Africa in the spring of 1942 where it fought until it was destroyed at the Second battle of El Alamein in November 1942. During the Italian invasion of France, the Italian forces numbered about 700,000 troops, while they enjoyed a huge numerical superiority to the French, they had several deficiencies. The Italian armoured regiments from the Littorio had between 150 to 250 L3/35 tanks each, but these vehicles were often classified as tankettes and were little more than lightly armoured machine-gun carriers not suited for modern warfare. On 20 June, the Italian campaign began and on 21 June, one force attempted to advance through the Alps and another force attempted to advance along the Mediterranean coast towards Nice. Initially, the Italian offensive enjoyed a level of success. The French defensive lines on the Italian border were weakened due to French High Command shuffling forces to fight the Germans, some French mountain units had been sent to Norway. However, the Italian offensive soon stalled at the fortified Alpine Line in the Alps region, the attack through the Little Saint Bernard Pass in the Alps had to stop due to a massive snow storm. The Division was part of the Italian Second Army that faced the Yugoslavian Seventh Army, the Italians encountered limited resistance and occupied parts of Slovenia and the coast of Dalmatia. The Littorio was never intended for operations, but due to the situation in the western desert in Libya. The second Italian armoured division Ariete Division, was already in the desert, the first units of the Littorio arrived in Tripoli, the capital and major port of Libya, in early January 1942, but had to wait until March for the complete division to arrive. Notably the Semovente da 75/18 self-propelled gun had equipped the Littorio a somewhat wider tactical repertoire, by April, the division had reached Benghazi, but the division’s transport had been diverted to carry much needed supplies to combat units at the Gazala line. The 3rd Infantry Division was a mountain infantry division of the Italian Army during World War II. The only difference between line infantry divisions and mountain divisions was that the latters artillery was carried by pack mules instead of the standard horse-drawn carriages. Italys real mountain warfare divisions were the six divisions manned by the Alpini mountain troops. The Ravenna Division was mobilized for war in October 1939 in Alessandria and they were part of the Italian III Corps, First Army during the Italian invasion of France. It reached a village of Fontan by 24 June 1940, in April,1941 the Ravenna division was transferred to Yugoslavian border to Kobarid and Most na Soči. They took part in the Invasion of Yugoslavia as part of the Italian XI Corps and it performed the mop-up duty in city of Škofja Loka from 14 April 1941 until 17 April 1941, before handing it over to German forces. Also, mop-up operations were performed near Mirna village, the Ravenna division was transferred to Pivka in early May,1941 and to Alessandria where it remained until 1942. The division was one of the divisions that served on the Eastern Front as part of the Italian Army in Russia. First it was assigned positions at rear area of 35th corps, at middle July,1942 Ravenna has arrived to Donetsk. 25 July 1942 it arrived to Luhansk, in August 1942, the Ravenna division took a defensive positions at Don river between Verhny Mamon and Boguchar. On these positions, Ravenna has beat off the Soviet assault from 20 August until 1 September 1942, extending to north, the Ravenna division has repelled another assault by Russian forces on Solonets, south of Voronezh, at 11 September 1942. At 11 December 1942, the Russian forces have started a new offense, under intense pressure, some sub-units of Ravenna division near Verhny Mamon have surrendered, piercing the Axis frontline. 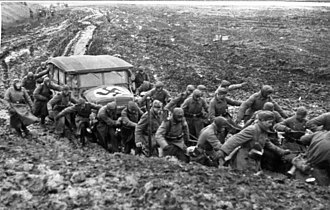 The 1st Guards Army and the 3rd Guards Army attacked from the north, encircling 130,000 soldiers of the Italian 8th Army on the Don, by that time, the bulk of Ravenna division forces was back to Luhansk. Okhtyrka is a small city in Ukraine, a raion centre within Sumy Oblast since 1975. 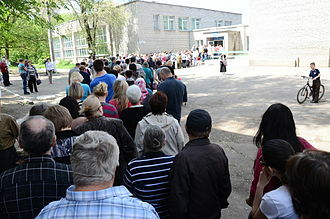 Okhtyrka is a town of Hussar and Cossack Fame and it was once a regional seat of Sloboda Ukraine and the Ukrainian SSR. Since the discovery of oil and gas in 1961 Okhtyrka has become an oil capital of Ukraine and it is home to Okhtyrka air base and religious places of interest. The villages of Velyke Osero, Saluschany and Kosyatyn belong to the Okhtyrka city administration which is designated into a subdivision of the Sumy Oblast. There are many versions of the name origin. According to one of them, the most probable, its name descends from the name of the river with the name that flows through the city. According to some historians, the rivers name in translation from Turkic language means lazy river. In opinion of others, the name from the same Turkic language is translated as the place of ambush. Yet the Russian philologist Oleg Trubachyov considered that there are no grounds to accept the Turkic etymology. The linguist Kostiantyn Tyshchenko points to the Gothic origin of the name Okhtyrka, located in the south of the Sumy region in the center of a triangle created by regional centers – Sumy and Poltava. The city is situated on the bank of the Vorskla River – the blue pearl of Ukrainian rivers. Okhtyrka was first established by former Ruthenians of the Polish-Lithuanian Commonwealth who were escaping Polonization moving from the Right-bank Ukraine to Sloboda Ukraine, next to the new settlement Polish authorities established a border outpost against the Muscovite Belgorod Border Line. 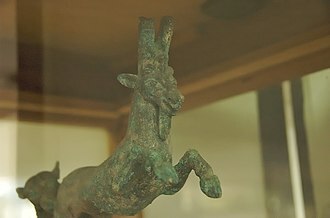 The settlement and the outpost were founded on the site of an ancient Ruthenian settlement on Akhtyr Hill and was part of Severian principality, during the Mongol invasion, it was destroyed. The first written mention of Okhtyrka settlement dates to 1641, Polish border guard vacated the outpost destroying the fort. It was rebuilt by the peasants and Cossacks who decided to stay. It was important for Muscovy to have an outpost established in this area, Okhtyrkas outpost served to strengthen the Belgorod defense line skirting the southern border of the Muscovite state in the middle of the 17th century. Being bolstered in this prominent position during the 17th and 18th centuries, the first census of the city was taken in 1655 by governor of Okhtyrka Trofim Khrushchev, listing 1339 residents. The Siverskyi Donets or Seversky Donets, usually simply called the Donets, is a river on the south of the East European Plain. It originates in the Central Russian Upland, north of Belgorod, flows south-east through Ukraine and again through Russia to join the Don River, the Donets is the fourth longest river in Ukraine and the biggest in the Eastern Ukraine. It is an important source of water in the east of the country. It gives its name to the Donets Basin, known commonly as the Donbass, the name Don and its diminutive, Donet are derived from Iranic, Sarmatian Dānu the river. According to V. Abaev the name Don derives from Iranic, the Slavic name of Seversky Donets derived from the fact that the river originates from the land of Severians. As the Italian-Polish chronicler Alexander Guagnini wrote, There is another, small Tanais, the Donets is the largest river in eastern Ukraine and the largest tributary of the Don. 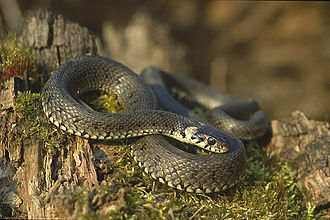 Its total length is 1,053 km and the area is 98,900 km2. Most of the rivers length 950 km stretches across Ukraine, the average annual flow is 25 m3 near the source and 200 m3 at the confluence to the Don. The Donets originates on the Central Russian Upland, near Podolkhi village, Prokhorovka area, north of Belgorod, at an elevation of 200 m above sea level. Its basin contains over 3000 rivers, of which 425 are longer than 10 km and 11 are longer than 100 km,1011 of those rivers flow into the Donets. These rivers are fed by melting snow, and thus the water supply is uneven during the year. The spring flood lasts about two months, from February to April - during this period the level rises by 3 to 8 m. Excessive flooding is due to abundant artificial water reservoirs constructed along the river. 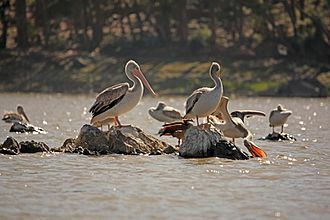 The width of the river ranges between 30 and 70 m, sometimes reaching 100–200 m and even 4 km in the reservoir area. The river bottom is sandy and uneven, with the depth varying between 0.3 and 10 m and the value of 2.5 m. The river freezes from around mid-December until late March and is covered by 20–50 cm thick ice, the river valley is wide, from 8–10 km in the upper part and up to 20–26 km downstream, and is asymmetrical. The Second Italo-Ethiopian War, referred to as the Second Italo-Abyssinian War, was a colonial war that started in October 1935, after a battle on 5 December 1934, and ended in May 1936. The war was fought between the forces of the Kingdom of Italy and the armed forces of the Ethiopian Empire. 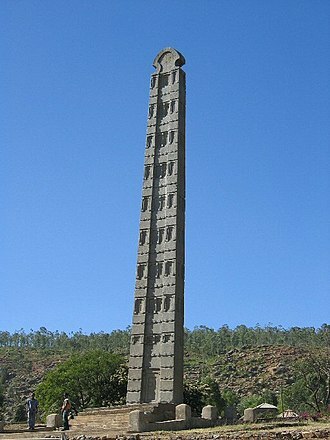 The war resulted in the occupation of Ethiopia. 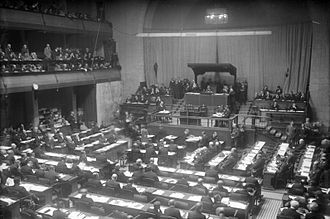 Politically, like the Mukden Incident in 1931, the Abyssinia Crisis in 1935 is often seen as a demonstration of the ineffectiveness of the League of Nations. Italy and Ethiopia were member nations and yet the League was unable to control Italy or to protect Ethiopia when Italy clearly violated Article X of the Covenant of the League of Nations, the victory brought Mussolini unprecedented popularity within Italy. Shortly after the war, Ethiopia was consolidated with Eritrea and Italian Somaliland into Italian East Africa, the Italo-Ethiopian Treaty of 1928 stated that the border between Italian Somaliland and Ethiopia was twenty-one leagues parallel to the Benadir coast. In 1930, Italy built a fort at the Welwel oasis in the Ogaden, the fort at Welwel was well beyond the twenty-one league limit and the Italians were encroaching on Ethiopian territory. In November 1934, Ethiopian territorial troops, escorting the Anglo-Ethiopian boundary commission, the British members of the commission soon withdrew to avoid embarrassing Italy. Italian and Ethiopian troops remained encamped in close proximity, in early December 1934, the tensions on both sides erupted into what was known as the Wal Wal incident. The resultant clash left approximately 110 Ethiopians and between 30 and 50 Italians and Somalis dead and led to the Abyssinia Crisis at the League of Nations, on 4 September 1935, the League of Nations exonerated both parties for the Wal Wal incident. The United Kingdom and France, keen to keep Italy as an ally against Germany, Italy soon began to build its forces on the borders of Ethiopia in Eritrea and Italian Somaliland. To this end, on 7 January 1935, France signed an agreement with Italy giving them essentially a hand in Africa to secure Italian co-operation. Next, in April, Italy was further emboldened by being a member of the Stresa Front, in June, non-interference was further assured by a political rift that had developed between the United Kingdom and France following the Anglo-German Naval Agreement. His comments stirred up a furor inside Japan, where there had been popular affinity for the African Empire, with an attack appearing inevitable, Emperor Haile Selassie ordered a general mobilization of the Army of the Ethiopian Empire. 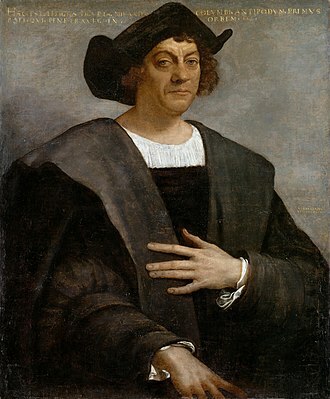 His new recruits consisted of around 500,000 men, some of whom were armed with nothing more than spears, many soldiers carried more modern weapons, including rifles, but many of these were from before 1900 and were outdated. Haile Selassies Mobilization Order stated, All men and boys able to carry a spear go to Addis Ababa, every married man will bring his wife to cook and wash for him. Every unmarried man will bring any unmarried woman he can find to cook, women with babies, the blind, and those too aged and infirm to carry a spear are excused. 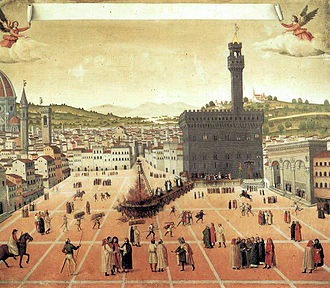 A representation of Porto Maurizio in the early 1800s. A landscape in Montferrat: view from San Marzano Oliveto, Astesan Montferrat, towards Monviso. Anna d'Alençon, Marquise of Montferrat. Mosaic of the 10th century lying on the grave of Aleramo, in the Abbey of Grazzano Badoglio. Menton, as part of Monaco, was the extreme western area of the Republic of Genoa (green color) in 1664. John the Apostle Church in Nizhyn.